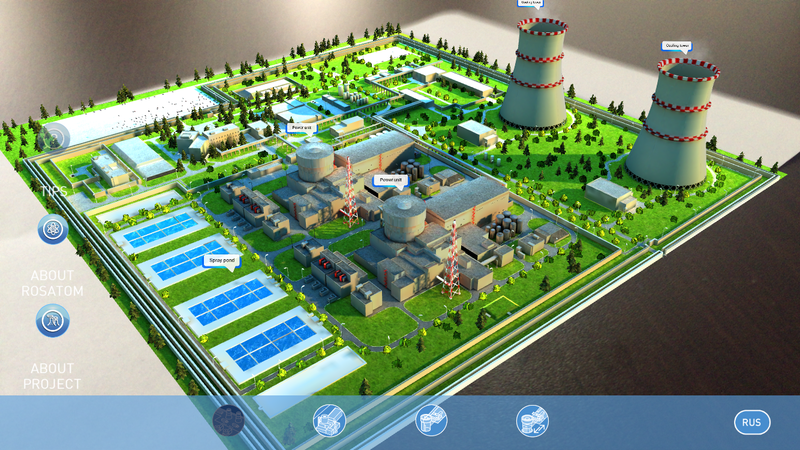 Rosatom State Corporation has its assets throughout the nuclear industry production chain. We convert and enrich uranium products, fabricate fuel, design and construct NPPs, operate in the field of nuclear engineering as well as thermal and electrical power generation. This allows Rosatom to offer a comprehensive power solution to its customers. 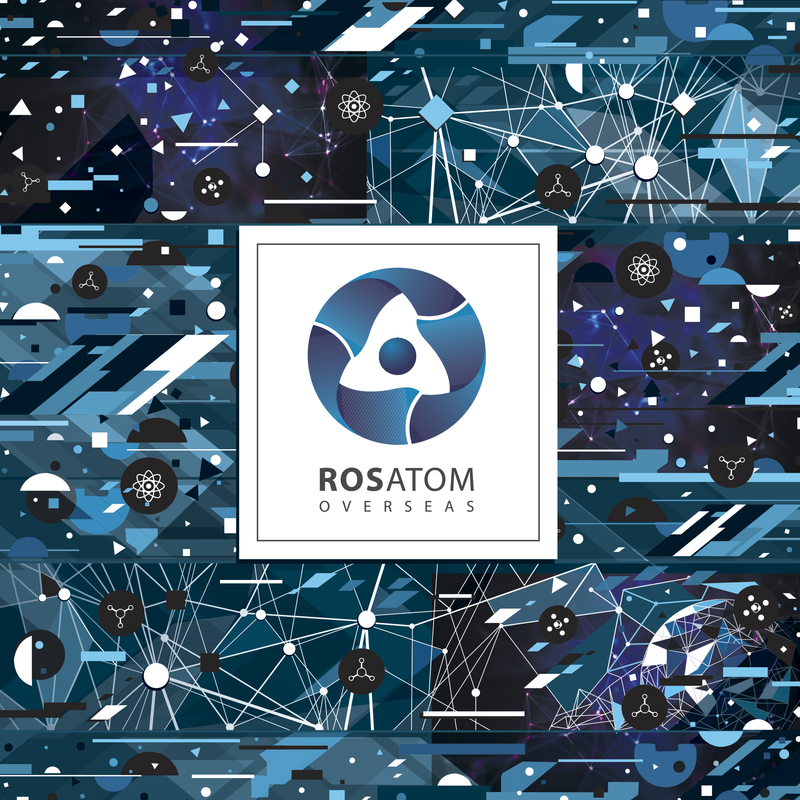 Rosatom companies offer turn-key NPP construction services, including power plant designing, technical support of its operation, arrangement of construction and installation, equipment and material supply, commissioning and start up of the power plant to our foreign customers. 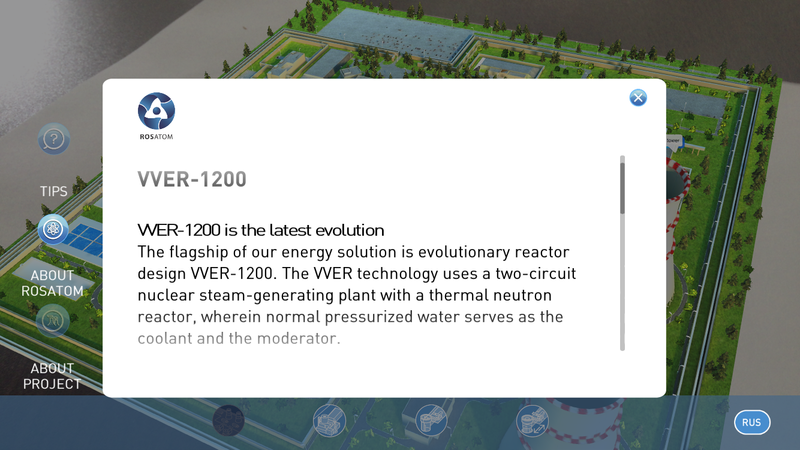 The flagship of our energy solution is evolutionary reactor design VVER-1200. 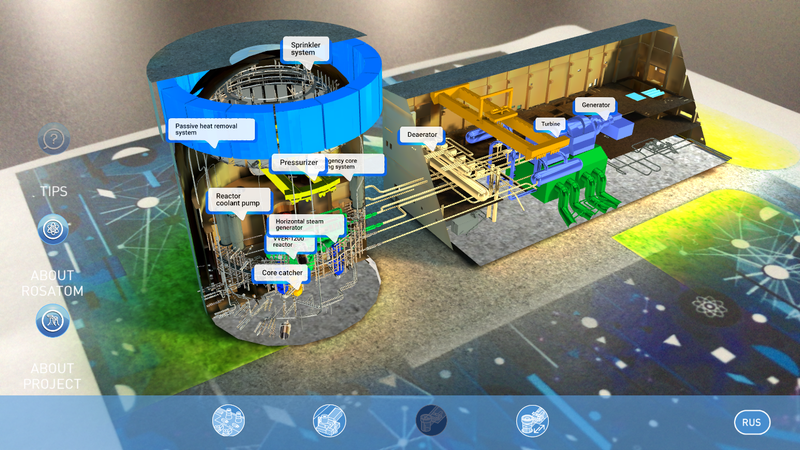 The VVER technology uses a two-circuit nuclear steam-generating plant with a thermal neutron reactor, wherein normal pressurized water serves as the coolant and the moderator. 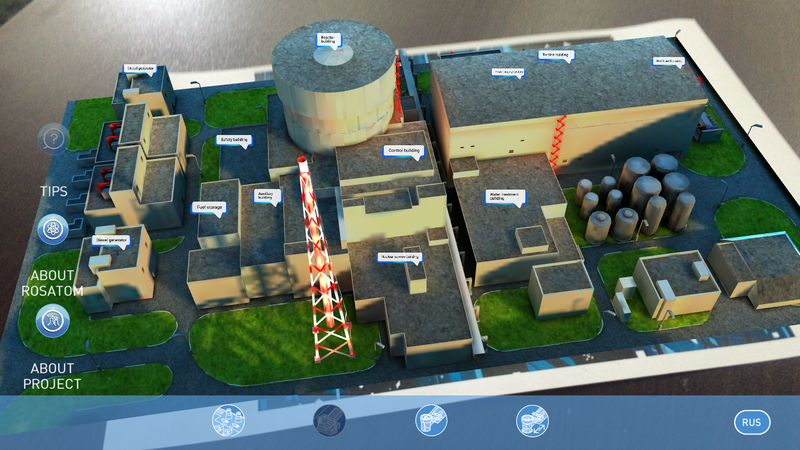 Thanks to the augmented reality technology, you can visualize a 3D model of the Russian-designed NPP using the camera on your device. 3. Open the App and position the camera on the marker. 1. Horizontal steam generators with oversized water stocks. 2. Fuel assemblies (FA) with hexagonal cross section. 3. E110 zirconium alloy for the fuel assemblies (FA). 4. Spent nuclear fuel storage pool is inside the reactor vessel. 5. Double containment with filter ventilated annulus. 6. Core catcher with sacrificial material. 7. First circuit passive cooling system. The VVER technology combines the reliability of long proven engineering solutions and super-reliable safety systems developed in accordance with the post-Fukushima requirements. NPP operation safety is our top priority. That is why we apply a combination of fast-response active and super-reliable passive safety systems in our energy solution. The technical solutions applied in VVER-1200, such as the spent fuel storage pool inside the containment, filters at the outlet of the vented annulus, a unique design of core catcher with sacrificial material and an unmatched passive heat removal system, allow to say that VVER-1200 is a generation III+ reactor plant that is fully compliant with the post-Fukushima safety requirements. In addition, Rosatom State Corporation constructs long-proven on the market NPPs based on the VVER-1000 reactor plants, low-capacity NPPs and floating power units as part of its power generation offer.